The power of Siri is yours for the asking. Summon Siri. Press and hold the Home button, until Siri beeps. Note: To use Siri, iPhone must be connected to the Internet. See Connect to the Internet. Ask Siri anything, from “set the timer for 3 minutes” to “what movies are showing tonight?” Open apps, and turn features on or off, like Airplane Mode, Bluetooth, Do Not Disturb, and Accessibility. 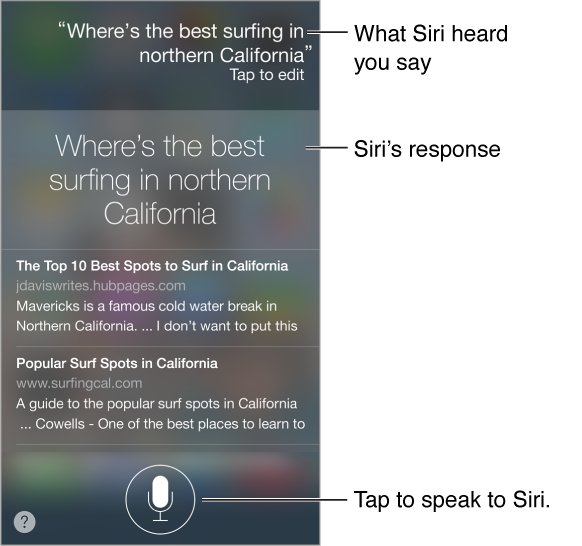 Siri understands natural speech, so you don’t have to learn special commands or keywords. Siri often displays helpful info on your screen. Tap the info to open a related app or get more details. Manually control when Siri listens. As an alternative to letting Siri automatically notice when you stop talking, you can hold down the Home button while you speak and release it when you’re done. Use Raise to Speak. 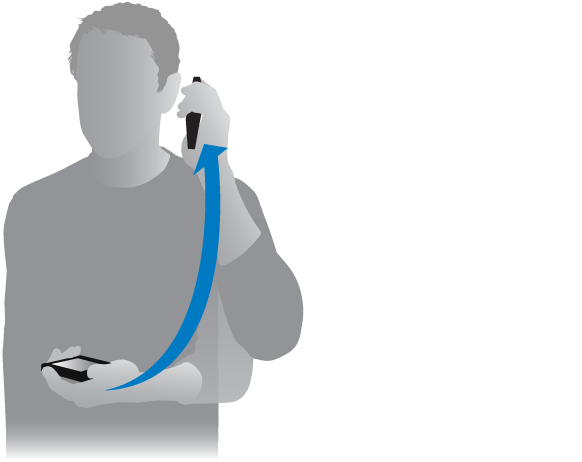 Raise iPhone to your ear and speak after the beep. (If the screen isn’t on, first press the Lock or Home button.) Raise to Speak must be turned on in Settings > General > Siri. Change Siri’s voice gender. Go to Settings > General > Siri (may not be available in all areas). Use Siri with your iPhone headset or another wired or Bluetooth headset. Connect the headset, then press and hold the center or call button.